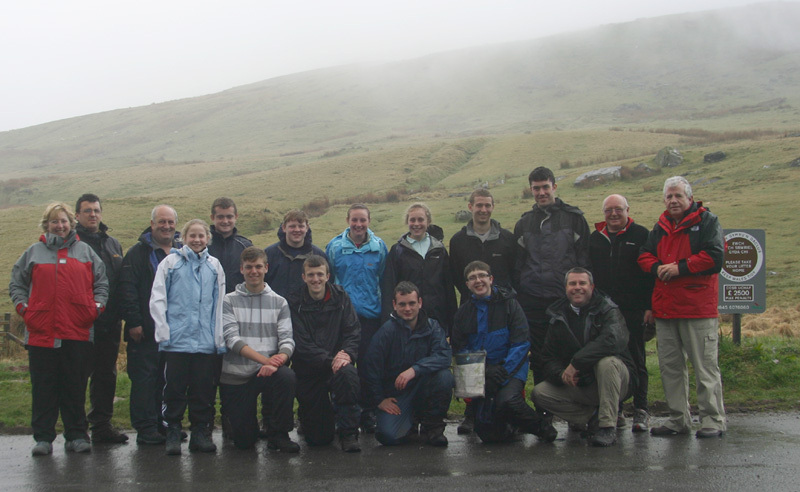 8 Cadets & 3 Staff are setting their sights at the top of the Brecon Beacons to achieve the ultimate achievement ~ 'THE GOLD DOE'. 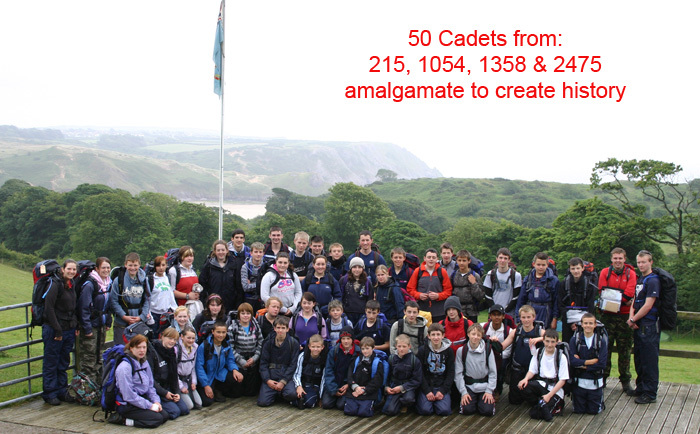 For the next four days they will meet every challenge thrown at them. 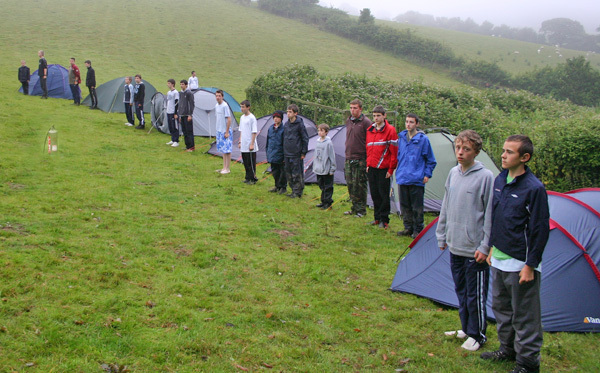 Teams 2 and 3 striving forward. 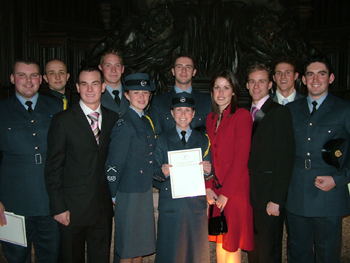 Plt Off John Cooksey - Driving Force behind the Gold ! 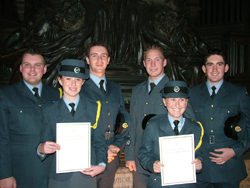 Squadron Leader Len Protheroe and Chief Assessor John Jones are pictured with the ten 215 'All Stars' who completed their 'LIVE Gold' today. 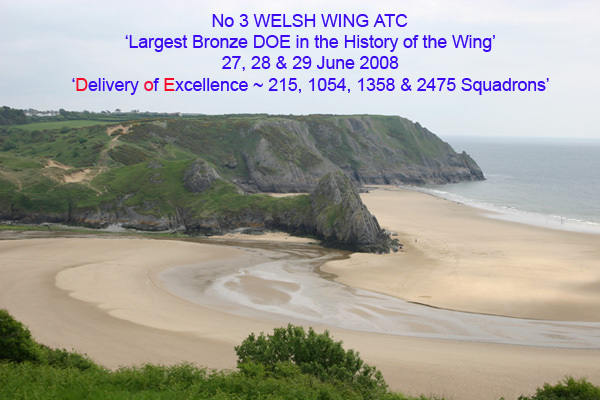 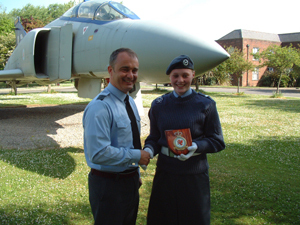 215 continues to be the largest provider for the Gold Awards in No 3 Welsh Wing ATC. 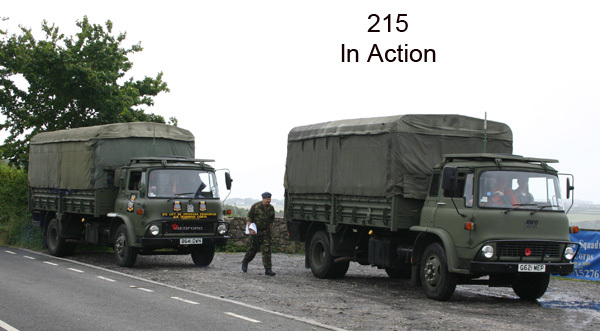 215 'Doe DAY LANDINGS' COMPLETED WITH STYLE ! 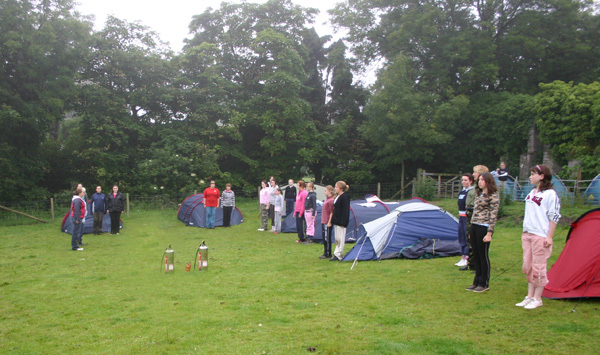 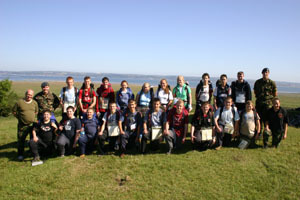 The DOE is not just about walking ~ after spending three days and two nights on their Bronze Award, the 'Dare To Excel' Cadet Team change from their walking gear and put on their white belts and gloves to perform with excellence for the 'Veterans Day Service' at St Mary's Church, Swansea. 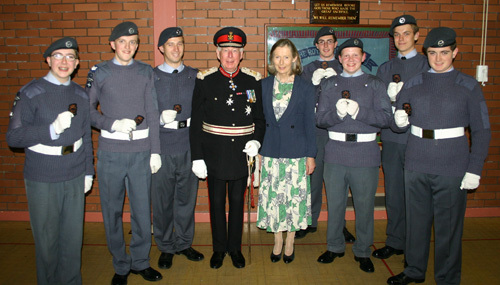 Her Majesty's Lord Lieutenant Commodore Hastie presented the 21 Bronze DOE Awards - pictured are some of the Cadets that received their Badges. 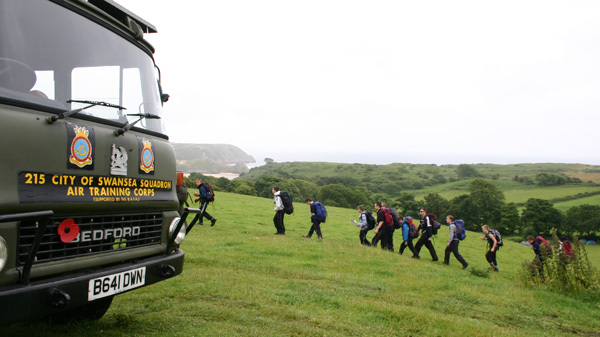 THEY HAVE ONLY JUST GOT OFF THE SQUADRON TRANSPORT THOUGH ! 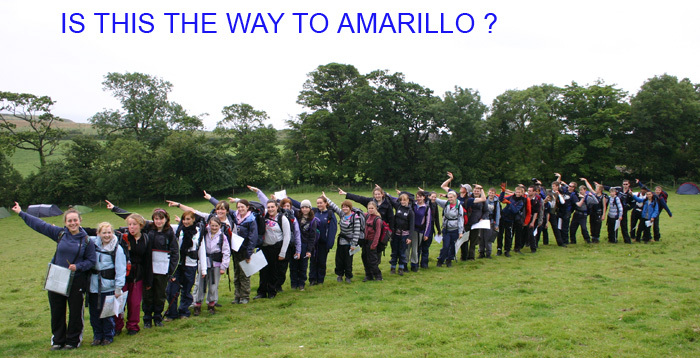 ITS A LONG WAY YET GENTLEMEN ! 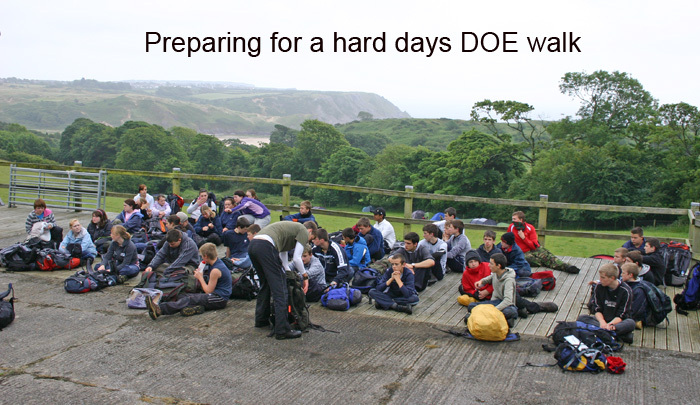 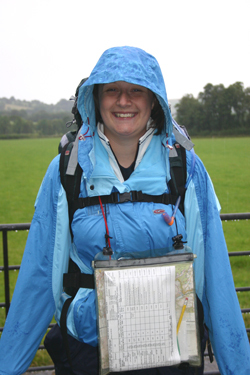 In temperatures of over 80', our three Bronze DOE teams met the challenge with true determination and 'Dared To Excel'. 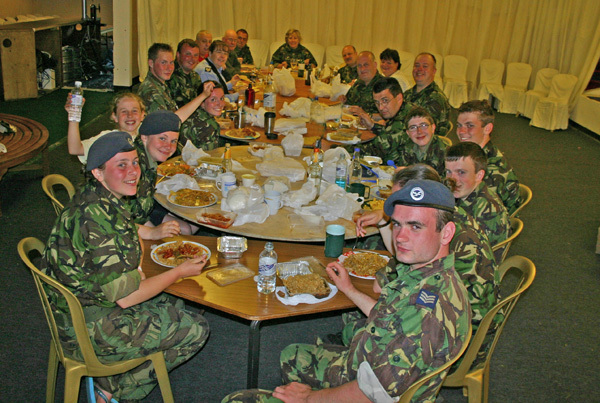 Cadets and Staff had a great time - as you can see ! 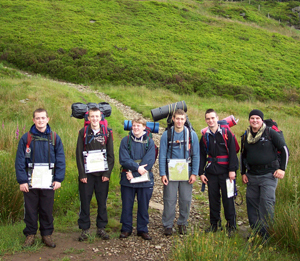 with their Gold DOE Awards by the Duke of Edinburgh. 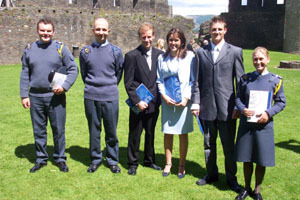 Nine Cadets attended a VIP presentation day at Caerphilly Castle, where they were presented with their Silver Duke of Edinburgh's Award Certificates and Badges. 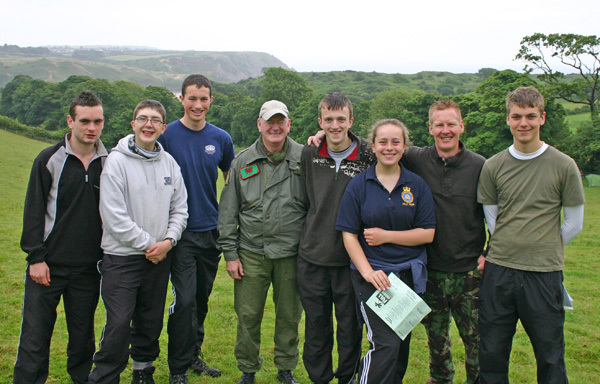 The Cadets are also pictured with Welsh Actor Steve Mayo. 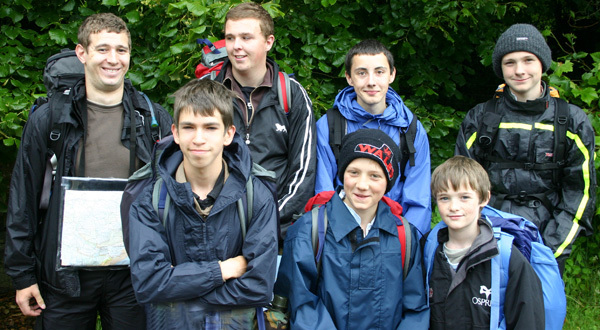 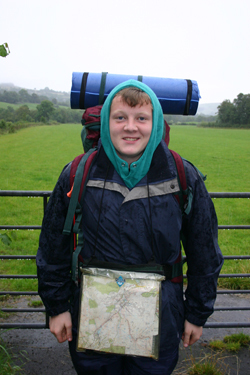 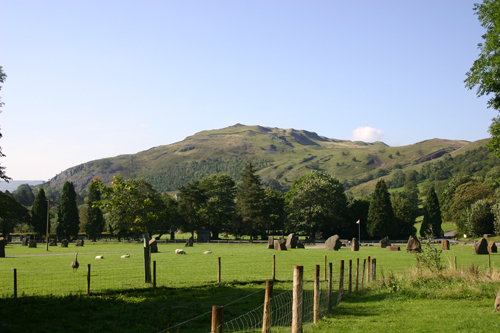 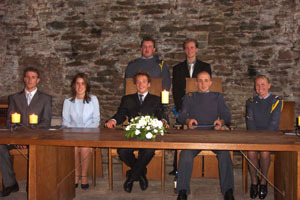 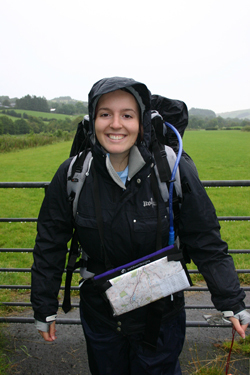 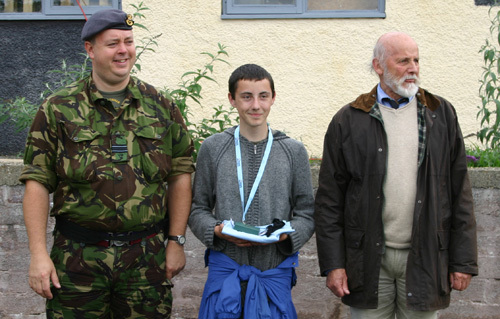 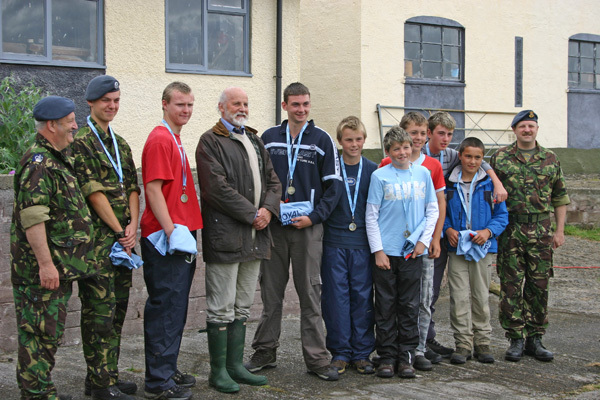 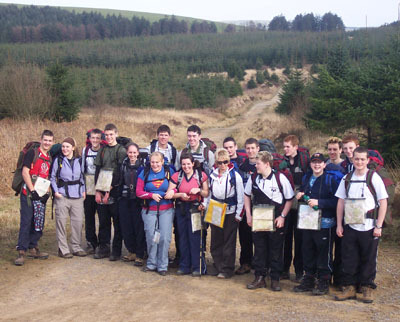 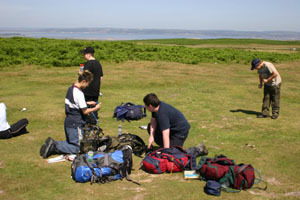 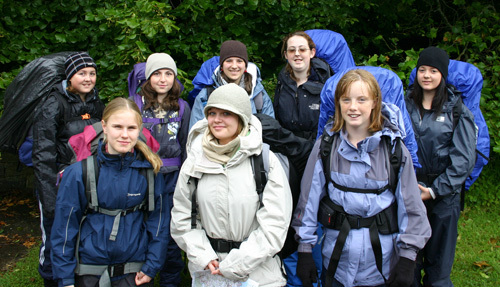 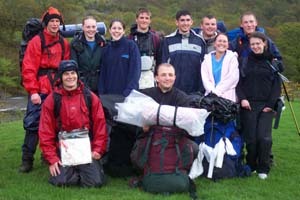 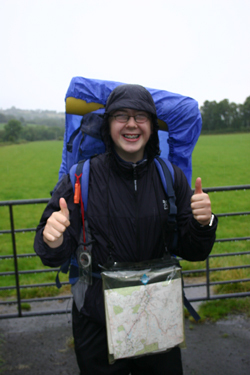 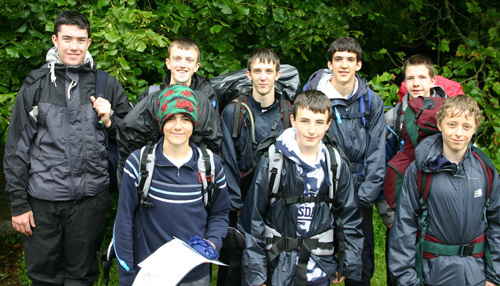 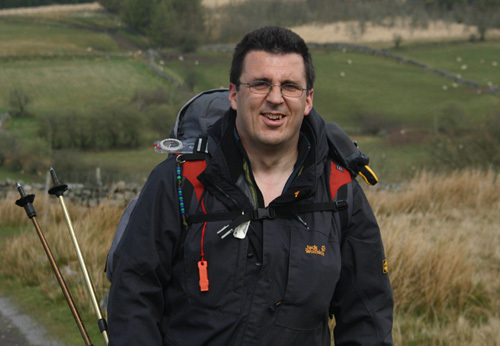 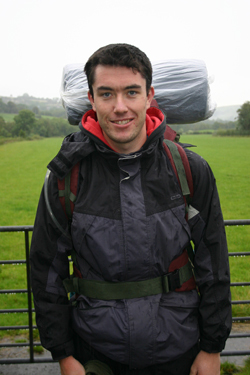 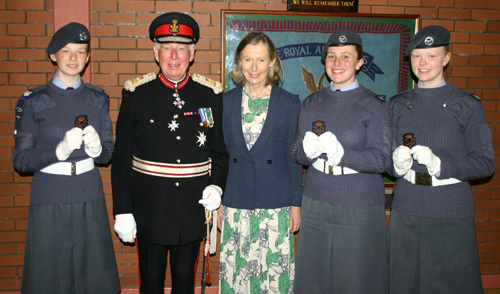 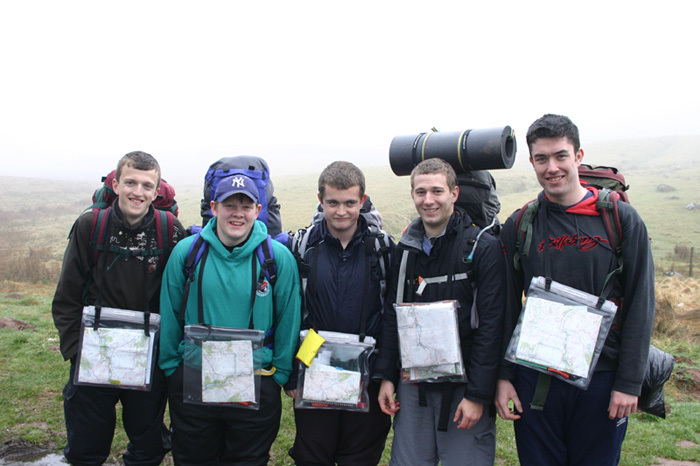 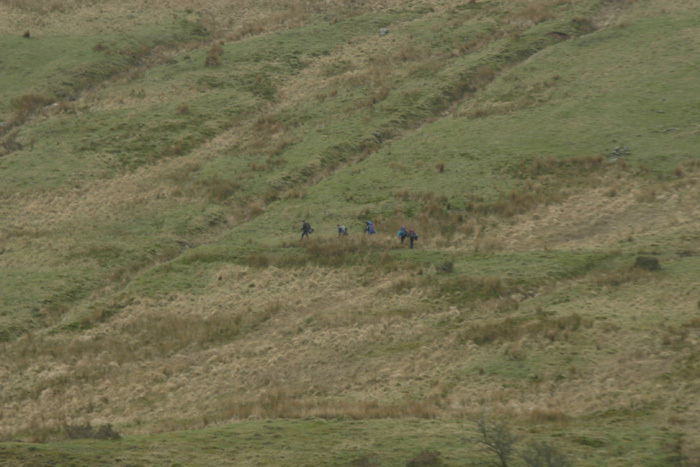 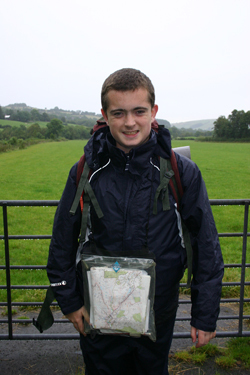 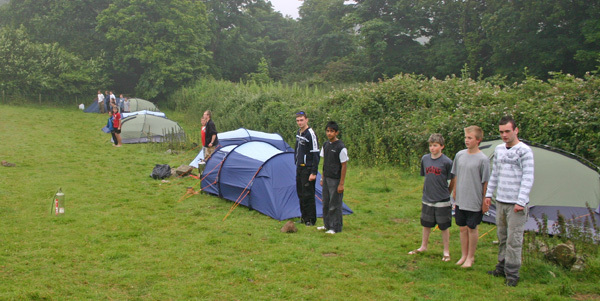 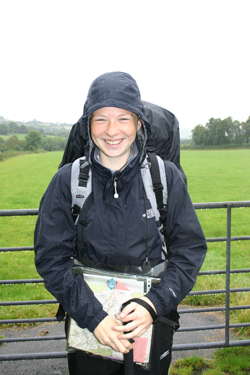 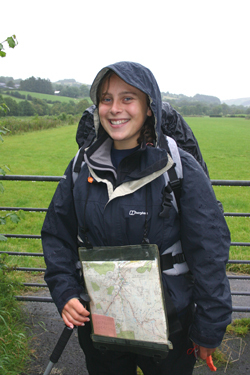 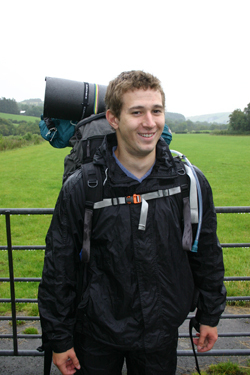 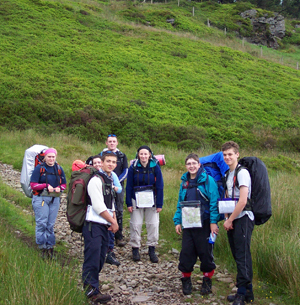 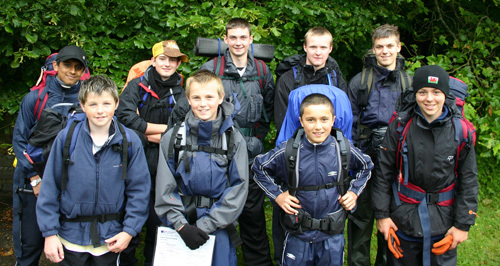 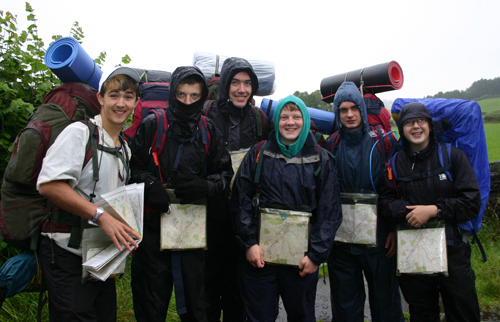 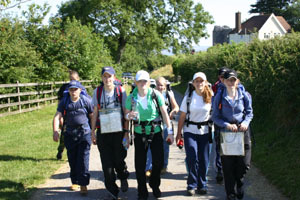 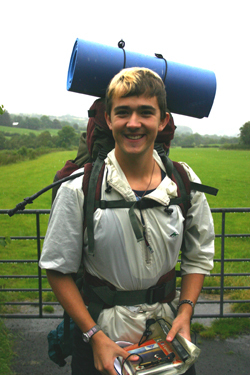 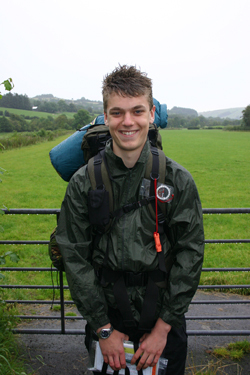 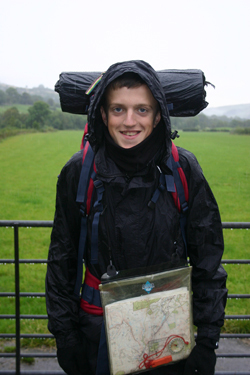 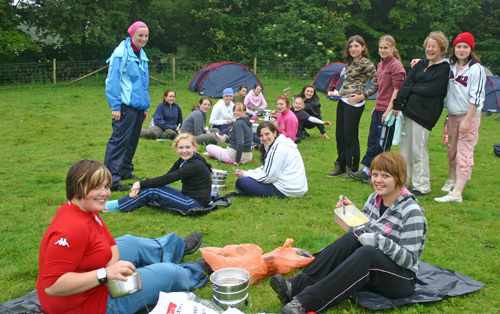 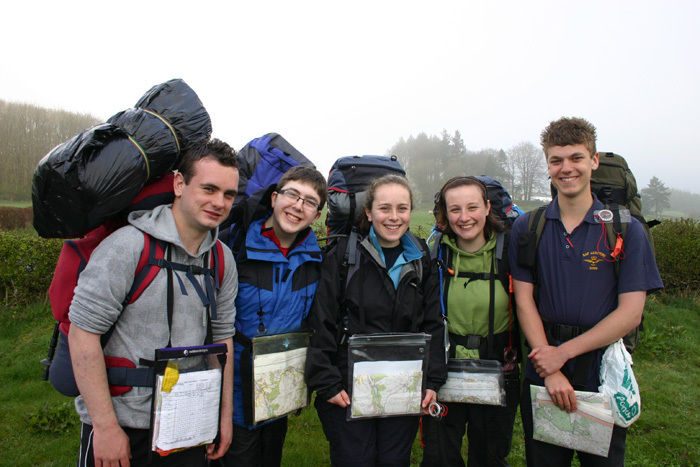 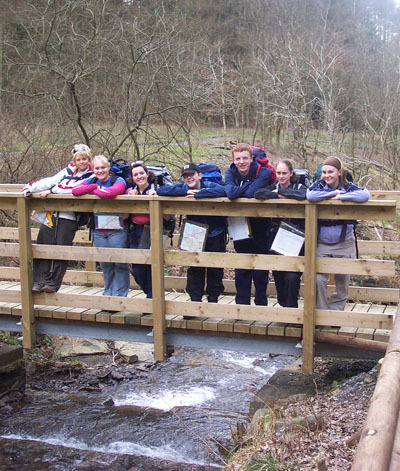 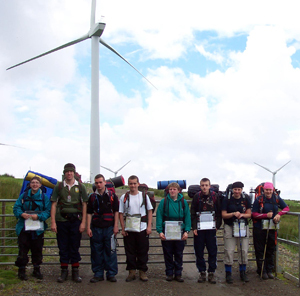 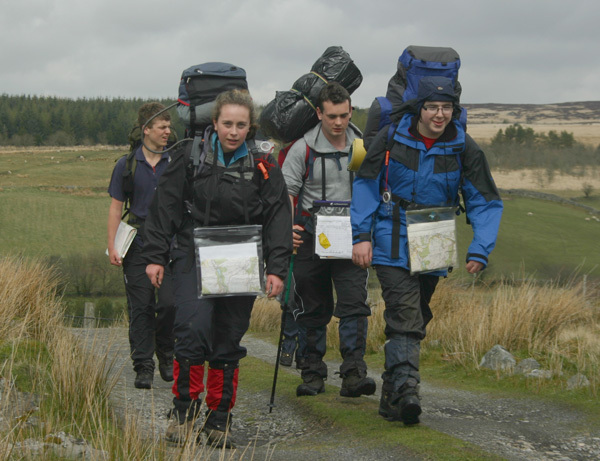 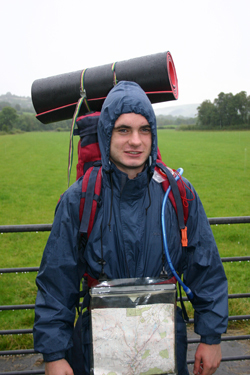 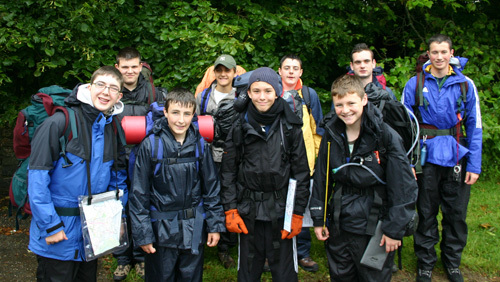 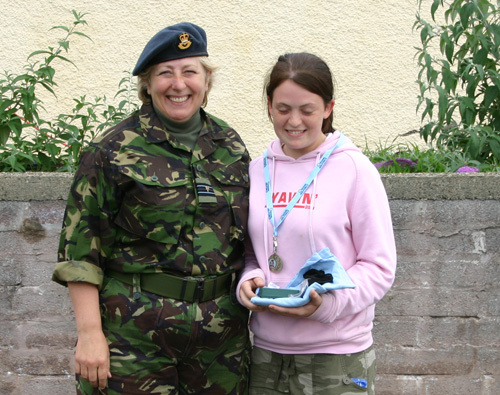 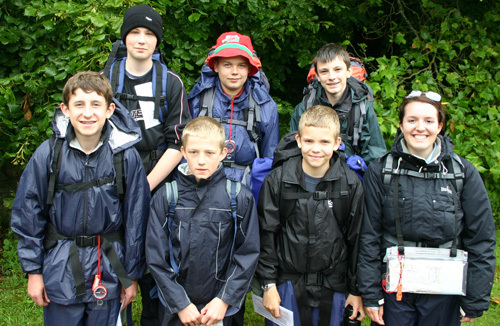 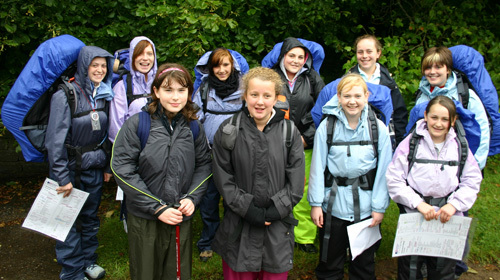 Twelve Cadets of the Squadron have completed their Gold Duke of Edinburgh's Award after completing their arduous Expeditions/Explorations in the Brecon Beacons in May 2004. 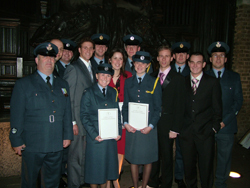 Their awards recognize over two years commitment to the scheme. 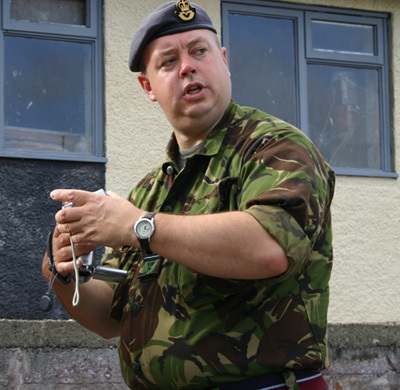 A special thank you must be afforded to the Gold DOE Expeditions Officer, Warrant Officer John Cooksey who trained the teams, Warrant Officer Terry Bravin, the DOE Co-Ordinator and Flight Lieutenant John Joseph (ret'd) who provided the Squadron with a valuable source of experience and guidance. 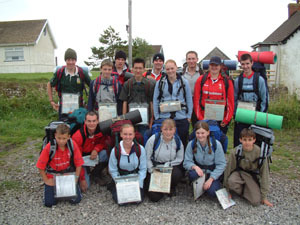 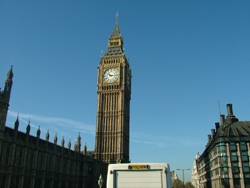 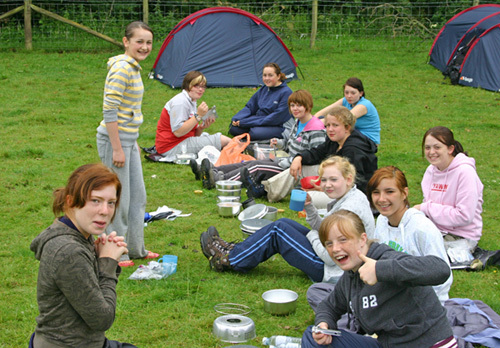 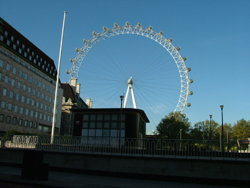 Seventy-five Duke of Edinburgh's Awards have been achieved throughout 2004 and 2005, which is an all time record for the Unit. 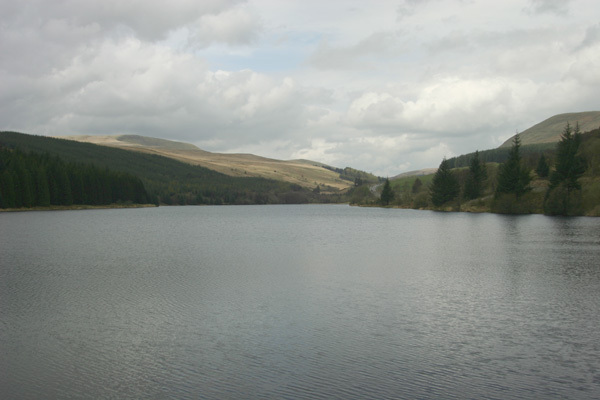 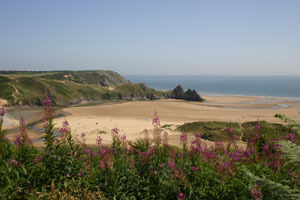 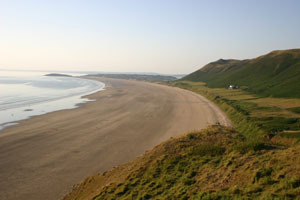 The Bronze DOE took place on the Gower Peninsular, the Silver in Afan Argoed Country Park and the Gold in the Brecon Beacons. 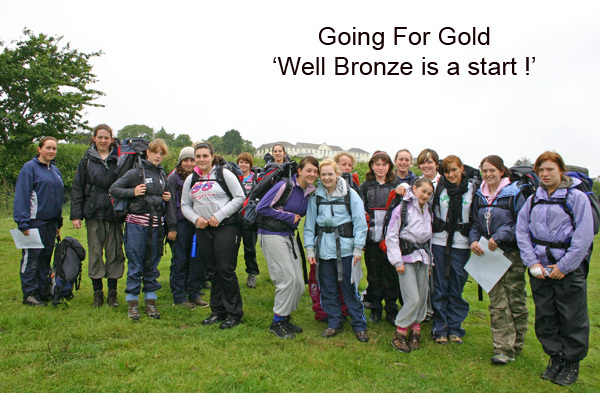 Bronze Awards in a year than any other Unit.